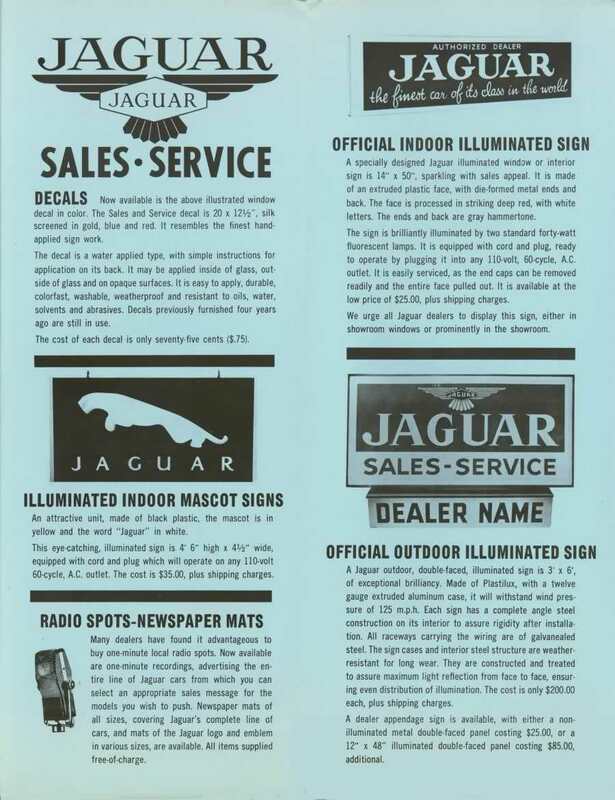 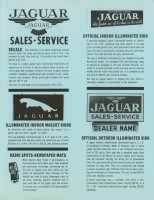 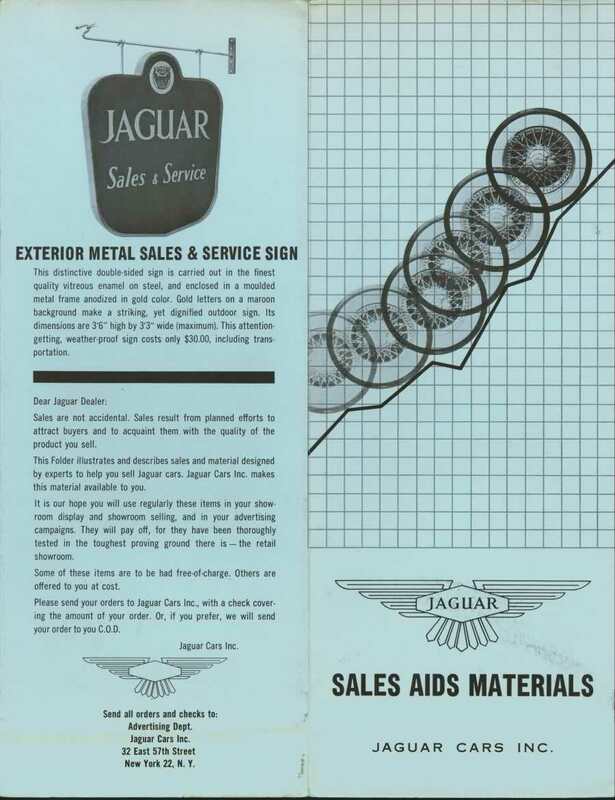 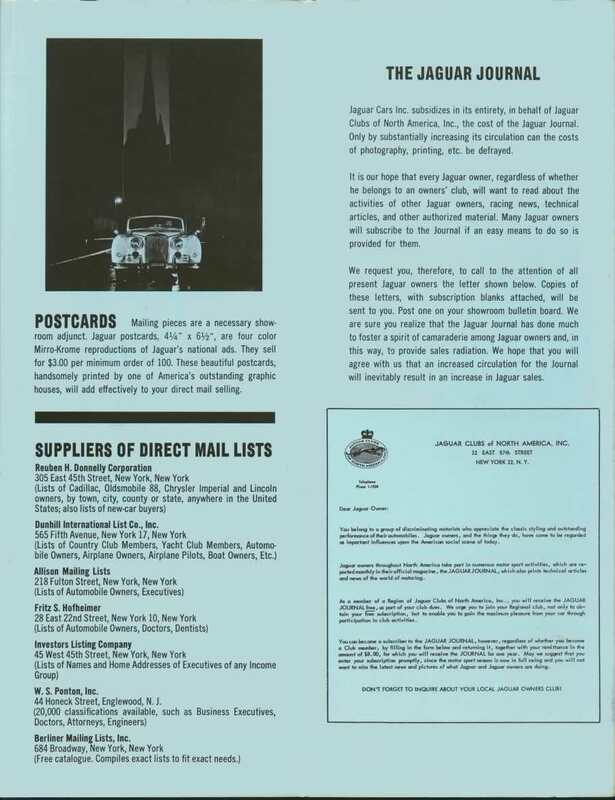 An official leaflet from the USA arm of Jaguar Cars showing the range of items available to American dealers sometime in the late 50s. 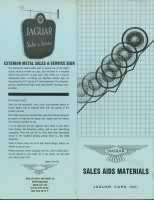 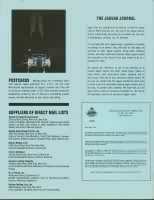 Invaluable to anyone researching dealer material available at the time. 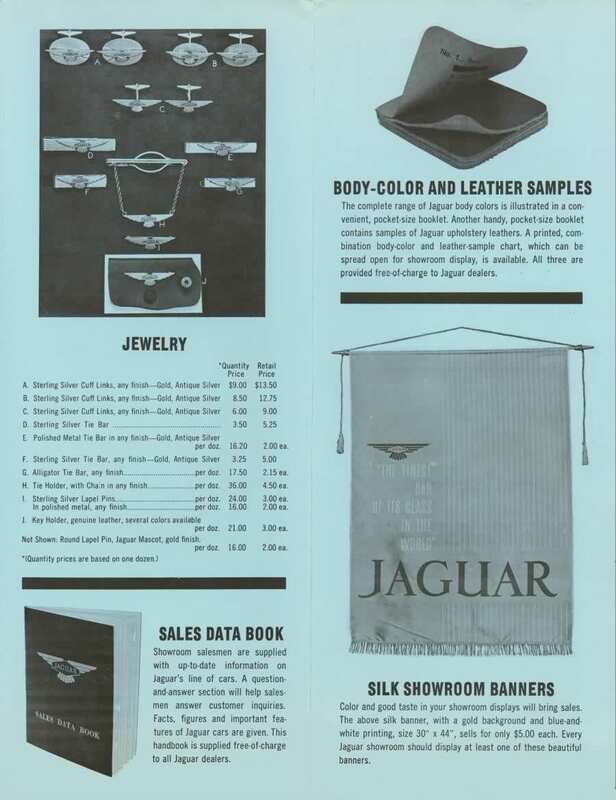 From the Mark VIII or IX shown and the style of the Salesman's Data book and upholstery samples, this probably dates from around 1958 although the large enamel sign was still available well into the 60s.